Potsdam, 08.11.2017 - Komoot, Europe’s most popular cycling and hiking route planning app, releases its highly-anticipated app for Garmin. This development enables outdoor enthusiasts to seamlessly sync routes planned with their favorite route-planner to 15 different Garmin devices. Once users download the free komoot app from the Garmin Connect IQTM store and sign in to their account, all planned routes are immediately visible on their Garmin devices ready to be downloaded and tracked. Users can then use the komoot app for iOS and Android to reroute or replan their tours on the go, with every change being reflected immediately on their Garmin. 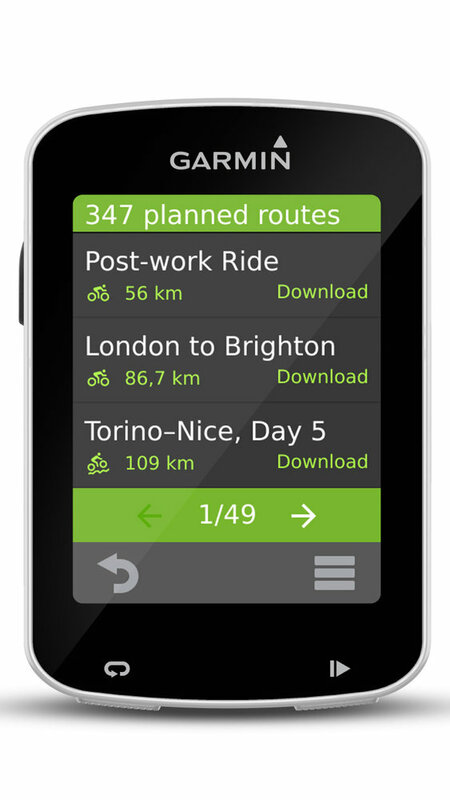 The komoot app enables the seamless syncing of routes between a user’s komoot account and their Garmin device. Using the komoot iOS and Android app, routes can be altered while on the move, with changes reflected immediately on the Garmin device. With longer battery life on Garmin devices, komoot users can now reliably track their longer tours and multi-day adventures. From mountain biking and road cycling, to running and hiking, komoot generates sport-specific routing tailor-made for users’ specific needs, meeting the diverse needs of Garmin’s extremely varied product range and consumer base. Enabling Garmin users worldwide to enjoy hassle-free komoot-planned route tracking on their preferred Garmin device further establishes komoot as the leading, sports-specific route planning platform. The komoot app is now free to download from the Garmin Connect IQ Store. 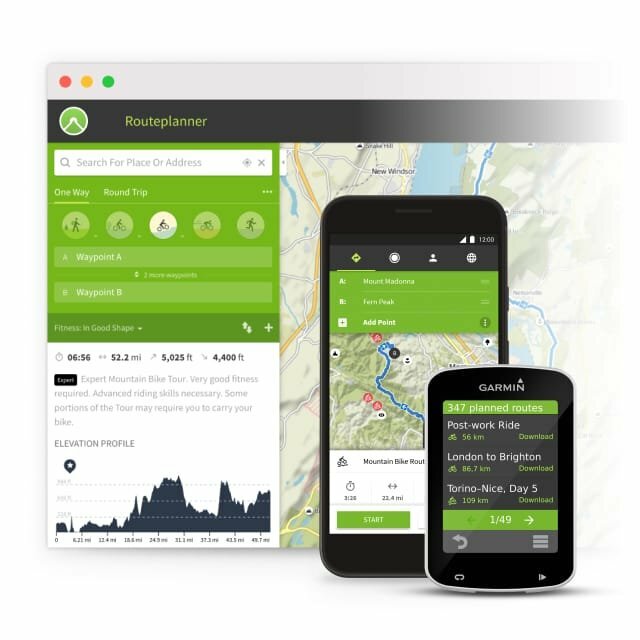 Founded in 2010 by a group of 6 outdoor enthusiasts from the Austrian Alps and Germany, komoot is Europe’s leading outdoor app, and currently enables millions of cyclists and hikers all over the world to experience more of the outdoors. Since launching in 2010, it has become renowned for its unique cycling, hiking and mountain biking route planner, its turn-by-turn voice navigation and high quality, topographic offline maps. Repeatedly accoladed as one of the best apps by both Google and Apple, komoot works closely with a number of international brands and successful tourism destinations to deliver inspiring content, personalized routes and better navigation technology to their customers. Komoot is headquartered in Potsdam, Germany, and currently employs 26 people. 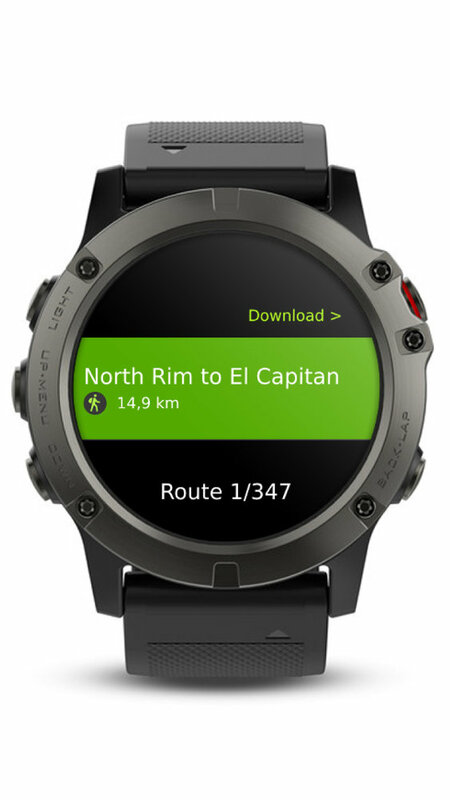 Connect IQ is available on a wide range of Garmin products across all the markets the company serves, and Connect IQ content can be downloaded at no charge to the user. The Connect IQ Store can be found at apps.garmin.com or in the device section of Garmin Connect. It can also be found in the device page of Garmin Express, or in the menu in Garmin Connect Mobile. To learn more about developing a Connect IQ app, visit developer.garmin.com. Garmin International Inc. is a subsidiary of Garmin Ltd. (Nasdaq: GRMN). Garmin Ltd. is incorporated in Switzerland, and its principal subsidiaries are in the United States, Taiwan and the United Kingdom. Garmin is a registered trademark, and Connect IQ is a trademark of Garmin Ltd. or its subsidiaries. Founded in 2010 by a group of 6 outdoor enthusiasts from the Austrian Alps and Germany, komoot is Europe’s leading outdoor app, and currently enables millions of cyclists and hikers all over the world to experience more of the outdoors. Since its launch, it has become renowned for its unique cycling, hiking and mountain biking route planner, its turn-by-turn voice navigation and high quality, topographic offline maps. Repeatedly accoladed as one of the best apps by both Google and Apple, komoot works closely with a number of international brands and successful tourism destinations to deliver inspiring content, personalized routes and better navigation technology to their customers. Komoot is headquartered in Potsdam Germany, and currently employs approx. 30 people. Komoot has been busy improving what we do best: bringing adventure and top-class planning to the world through technology, people and our partners. Read on to find out more about what exactly we have been up to over the past few months..
Komoot, Europe’s most popular cycling and hiking route planning app, releases its highly-anticipated app for Garmin. This development enables outdoor enthusiasts to seamlessly sync routes planned with their favorite route-planner to 15 different Garmin devices.